Ismael has over three decades of experience in urban land engineering design, having worked on award winning projects all over the world. 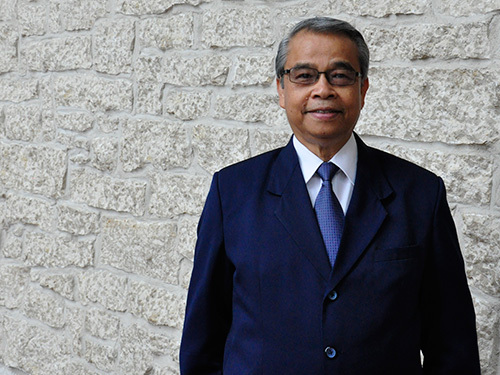 Originally from Iloilo City in the Philippines, Ismael studied and taught Civil Engineering at Central Philippines University before moving to Edmonton to begin working as a professional in the field. After 28 years working as a Civil Engineer in Edmonton, Ismael opted to semi-retire and work as a sub consultant; allowing him the flexibility to choose projects that are of interest to him. These projects are mainly located in new, undeveloped areas, because they are the most challenging. “You get a good feeling,” he said, “that you get to set the stage for every single phase of development that follows.” Throughout his career he always enjoyed solving complex engineering problems more than any other aspect of his career. Ismael’s attention to detail is unrivaled, so much that during his career he has only come across two other people that could match his skill set. A prolific reader, Ismael often times finds himself lost in both literature and his work. “Give me a complex engineering problem or a good book, and you’ll have to book an appointment to get my attention,” he states, noting that he easily misses meals or appointments when entrenched in his work or a good book. This focus has resulted in very unique and award designs, two of which stand out the most in his memory. The first, the project he admittedly is proudest of, is the design he led for Summerside, in southeastern Edmonton. The neighbourhood features the first freshwater lake in a new neighbourhood in Edmonton, providing a unique and challenging design with regards to grading, access and privacy. The second, which received an Alberta Civil Engineering Showcase Best Practices Award in 2008 was his design for stormwater outfalls from Ambleside and Keswick neighbourhoods to the North Saskatchewan River in Edmonton. Ismael’s design cost 75% less while reducing 35% more energy flow of typical outfalls, and has now replaced the typical outfall design in similar conditions in Edmonton.